Pantone unveiled the 2016 color of the year, but wait... there’s not only one color but two. 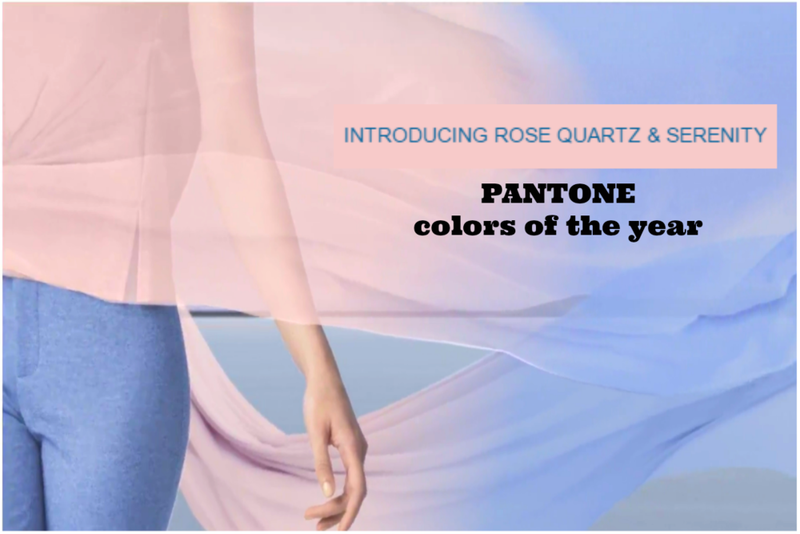 For the first time, Pantone, the color experts has blended two shades – Rose Quartz and Serenity as the PANTONE Color of the Year. And the union of the rose tone and the cooler tranquil blue is a softer take on color for 2016. Can you say pastel?Rose Quartz, a dusky shade of pink, and Serenity, a slightly intensified baby blue is as Executive Director of Pantone Color Institute,Leatrice Eiseman puts it - “reflecting connection and wellness as well as a soothing sense of order and peace.” One could also say it’s a psychologically reassurance in a world where we’re experiencing attacks on all levels. Pantone color of the year: reflecting connection and wellness as well as a soothing sense of order and peace. Like them or not be prepared to be live in a world of pastels, at least for 2016. See how the palette looks in beauty, fashion and home decor.